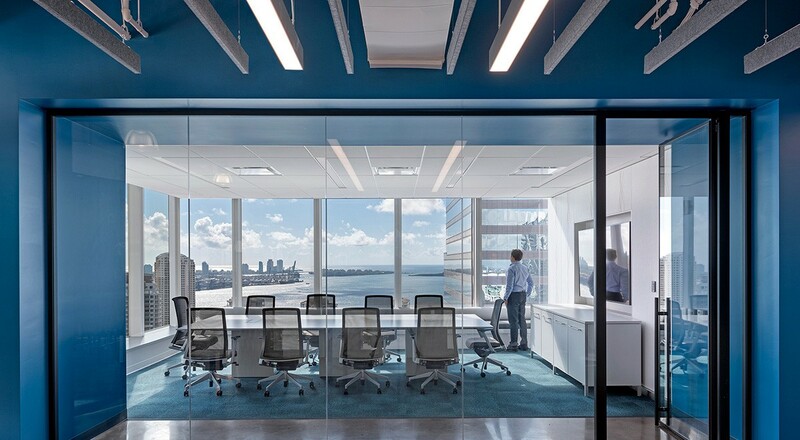 At the headquarters of the customer experience management company, Acticall Sitel Group, Gensler crafted a space hip enough for it’s Miami location along the Biscayne Bay. 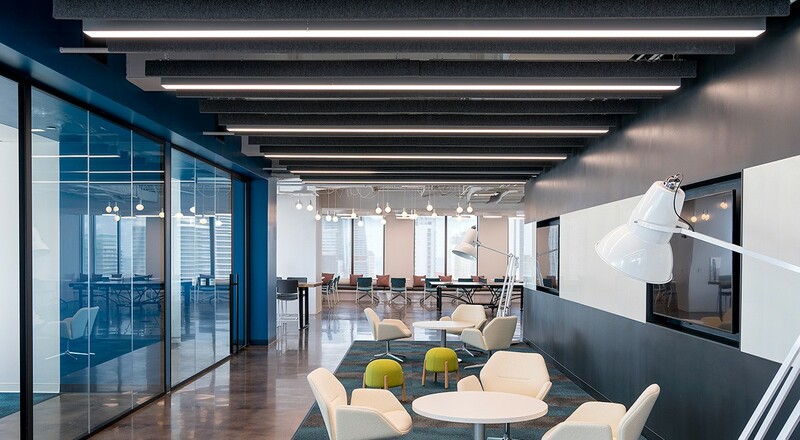 Sleek and contemporary finishes and furniture are accentuated with bright colors while sleek Akustika 25 Baffles in two tones of natural grey felt intermingle with light fixtures and HVAC overhead. For more information on the product featured, please visit Akustika 25 Baffle.